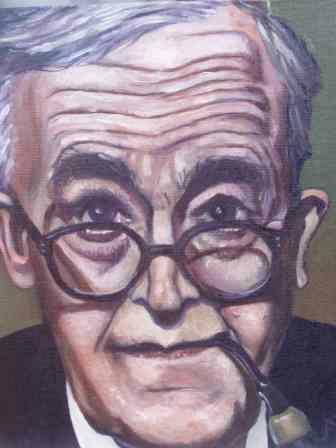 This post is for the person who is thinking about reading Barth’s Church Dogmatics. I’ll briefly mention some reasons to read it, note the two excellent English editions now available, describe its overall structure, and relay a suggestion of some passages to dip into first to gain an overall feel for Barth’s distinctive theological mode and writing style. Why read Barth’s Church Dogmatics? When I began my graduate studies in the history of science back in the 1980’s, the distinguished Curator of the OU History of Science Collections wagged his finger at the five of us who were first-year students at the time, enrolled in his early modern science course, and admonished that we would never be able to understand the rise of early modern science unless we read two theological works: Augustine’s City of God and Calvin’s Institutes . I took him seriously at his word, reading both over the next year or two, along with most of Aquinas’ Summa Theologica as well. If he were alive today, I’m sure he would agree with me that to understand the relations between science and religion from the Enlightenment through the 20th century, one must add Barth’s Church Dogmatics to that short but essential reading list. By any account, Karl Barth (1886-1968) was the most significant and influential theologian of the 20th century, described by Pope Pius XII as the most important theologian since Thomas Aquinas. The Church Dogmatics, over 30 years in the writing, represents the mature form of his own Reformed theology. And it is even of much broader interest than that, for it also reveals his extensive personal interaction with theological currents of his day and throughout the history of the church, from the patristic and medieval periods up through Enlightenment, 19th- and early 20th-centuries, spanning Orthodox, Roman Catholic, Lutheran and various other perspectives. The massive excursus sections of the Church Dogmatics (see below) offer an unparalleled entrée into the history of theology and a point of departure for ecumenical discussion. It is no wonder, then, that Thomas F. Torrance regarded Barth’s effect upon modern theology and philosophy as a Copernican Revolution. Of course, it should go without saying that no one reads the Church Dogmatics expecting Barth to show us all the answers. There are no Barthians, in the sense of theological disciples who agree with all or nearly all that he said. Rather, we read Barth because he opens up a vast landscape in which we can carry on theological conversations with renewed vigor, insight, imagination and clarity. This lies at the root of his historical significance. To attempt to think theologically in our age without engaging Barth is like trying to understand ancient theology without Augustine and Athanasius, medieval theology without Aquinas, and Reformation theology without Calvin; or even to carry on astronomy today with a geocentric cosmology. Barth’s 13 volumes of Kirchliche Dogmatik, published from 1932 to 1967, were translated into English under the editorial leadership of Thomas F. Torrance and G. W. Bromiley (Edinburgh: T&T Clark, 1936-1977). This edition is long out of print, although used volumes can be obtained one at a time from Amazon and other booksellers. Yet it has never been easier to read the Church Dogmatics because of the recent release of two affordable editions! 1. The first choice is the Hendrickson reprint of the Torrance-Bromiley translation: Church Dogmatics, 14 Volumes. Hendrickson Publishers (2010). Hardcover. $129.99 from CBD (+ $50 shipping) . Read CBD’s helpful blurb . The Hendrickson product page lists the contents of each volume. 2. A second option is the publication of a Study Edition: Church Dogmatics, 31 Volumes. Continuum International, T&T Clark, with assistance from the Center for Barth Studies at Princeton Theological Seminary (2009). Paperback, high quality, sewn binding. Available individually for $35/ea., or as a set for $1095; from CBD , Amazon , or more affordably from Alibris and other sellers (who perhaps snapped up extra copies when the set was initially sold by CBD at prices under $500). Read the publisher’s product description . The Study Edition is also available online and in a 2004 edition for Logos software (review ; I hope it comes soon for Accordance!). The Study Edition offers a tremendous advantage for students over the Hendrickson reprint: Barth’s frequent quotations of phrases and passages in Greek, Latin, French and German are translated into English in footnotes appearing at the bottom of each page, for the benefit of readers who are not fluent in these languages. Because the paperbacks are divided into 31 volumes (instead of 14), each one is slim and light enough to easily slip into a backpack or satchel. Buying the printed set rather than individual volumes includes free access to pdfs of prefaces (by Barth and the translators) and indices (request downloading access here ). Why these were omitted from the print volumes of the Study Edition is a mystery; the publisher should make them available as free downloads to purchasers of individual volumes, if not to the general public. Regardless of which edition you choose, you’ll need some good bookmarks! Church Dogmatics – What’s the overall structure? Paragraph 8 unpacks every phrase of this Leitsatz, comprising pages 295-347 of the first volume of the Torrance-Bromiley edition. Pagination: When citing Barth in English, use the page numbers of the Torrance-Bromiley edition (example: CD I.1, p. 321). The Hendrickson reprint preserves the Torrance-Bromiley volume divisions and pagination – the 14 original volumes are each indicated below by an upper-case “V” in parentheses (V#) for each Part. The Study Edition indicates Torrance-Bromiley page numbers in the margins. Paragraph 8 occurs somewhere in the middle of the first volume of the Hendrickson reprint edition, but at the beginning of the second volume of the Study Edition because the latter breaks apart the Parts into separate volumes, as indicated below by a lower-case “v” in parentheses (v#). So CD III.4 is found in volume 8 of the Hendrickson reprint, or in volumes 19 and 20 of the Study Edition. Excursus: Excursus (sing. and pl. forms are both “excursus”) appear in smaller print, and may be a few lines or run to multiple pages in length. In the excursus, Barth engages other theologians and philosophers, interacts with an astonishing range of figures in the Christian tradition, and exegetes scripture. One may follow the thread of Barth’s argument even if one skips the excursus, but doing so will severely distort one’s understanding of Barth’s method, and his approach to scripture and intellectual history, as well as cause one to miss out on his sense of humor (much like those whose understanding of Calvin becomes distorted when based only upon the Institutes, to the exclusion of his commentaries). v21 §57-59 The Subject-Matter and Problems of the Doctrine of Reconciliation. Keep this volume handy: in addition to name, subject and scripture indices (revised and corrected in the Study Edition), it contains a selection of 800 extracts from the Church Dogmatics arranged according to the German Evangelische Kirche schedule of passages for Sunday preaching. Here is a more detailed table of contents , including all chapter and paragraph titles, from the Foundation for Reformed Theology. Church Dogmatics – Where do I start? CD IV.1, pp. 157-211: “The Way of the Son of God into the Far Country” (on Christ in our place as the Prodigal Son). Depending on your interests, these are a great place to start. Perhaps every reader would recommend a different set of favorite sections. My own interest in Karl Barth’s theological method and his rejection of natural theology makes CD I.1 and II.1 of prime interest, for example. Or better yet, why not start a reading group with some friends, meeting to discuss the Church Dogmatics roughly monthly over the course of 3-5 years? *Source: Thomas F. Torrance, “The Transfinite Significance of Beauty in Science and Theology,” in L’Art, la Science et la métaphysique, ed. Luz García Alonso, Evanghelos Moutsopoulos, Gerhard Seel (Peter Lang, 1993), pp. 393-418. This entry was posted in Theology and tagged Baxter Kruger, Karl Barth, Mozart, Thomas F. Torrance. Bookmark the permalink. 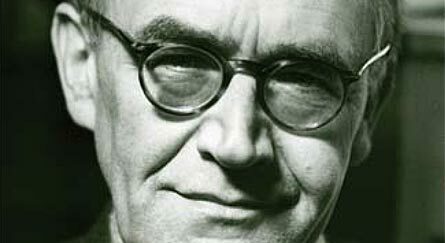 How has Barth influenced your thought in the context of history of science? Michael, that is a great question! The answer is still a story in progress, as I have only been dipping into the CD so far, and reading shorter works by Barth such as his debate with Brunner over natural theology and his study of Anselm’s methodology. But that “dipping in” has persuaded me that reading the entire CD will be worth the effort, so with a new monthly reading group starting up here, it’s time for me to take the plunge and dive in to read the CD. 1. The contingency of creation, that nature is not necessary but could have been different and arises from the freedom of God in love. This is a standard theme in the historiography of science and religion, and Barth is one of its most prominent advocates. 2. That one may not separate the attributes of God and consider them in isolation from one another. So, for instance, the contingency of creation is not just to be thought about in terms of God’s freedom, but ultimately in terms of his love. God’s will and mind are not separate from his love. 3. In epistemology, Barth was an informed opponent of both positivism and idealism. In modern terms, he was neither an evidentialist nor a presuppositionalist, neither a foundationalist nor a postmodernist. 4. In methodology, Barth articulated a defense of theology as a science by rejecting the idea of a unified scientific methodology, instead affirming the principle of kata physin (according to nature) – i.e., that each field of science adopts methods appropriate to its distinctive subject matter. This entails the idea that various sciences have distinct methodologies which must be developed over time and empirically, which like #3 was quite in opposition to the dominant philosophy of science of the day. 5. Barth’s rejection of natural theology and his understanding of the relations of nature and grace. This is huge, and derives from all of the above. E.g., #1: If creation is contingent, then its order is contingent as well, and eludes the grasp of natural theology. E.g., #4: If theology proceeds kata physin, then the presence of the word of God displaces the role of natural theology in our coming to know God. In other words, creation as well as redemption are both the gift of grace, and therefore unified, not independent – we don’t start with nature and end with grace. I suspect Barth offers the most fully developed alternative vision of the relation of nature and grace to Aquinas, so it’s no wonder that he is of special interest to Catholics, as representing the best alternative that Protestantism has to offer on this issue that is foundational to every aspect of theology and Christian thinking. These are just the areas of significance for the history of science that occur to me off the cuff, in addition to his extensive interaction with contemporaries and analysis of historical figures and intellectual currents, and his obvious influence upon later science-religion dialogues. An example of the latter is TF Torrance’s major work in science and religion – from whom I personally have been most helpfully stimulated to think about all of the above issues – so Barth’s influence upon me personally to this point has been much more indirect. So these are some of the themes I’ll be keeping an eye out for in the CD. Thanks for asking such a great question! Thanks very much, James, for making that link prominent. (It is also found in my post, just before the section entitled “Church Dogmatics, Where do I start?”) And thanks for your informative site at the Foundation for Reformed Theology, http://www.foundationrt.org/ . Thanks, William! That’s very good news, isn’t it? While the Hendrikson edition has gone down in price, the Study Edition has gone up – it’s now at $499.99 from CBD. Michael, I wish we would all have seized the opportunity you did when they were selling it for $299! I’m very much enjoying the translations in the Study Edition, but all you need to benefit from them is one friend in a reading group who has it and is willing to share. And I agree – reading the CD will be at least a 5-year journey for me. I would rather read with care and attention than under any deadline. Thanks for your comments, and best wishes! Thanks for those thoughts. I had the rather remarkable experience of ordering the set from CBD on Friday and having it placed on my doorstep Monday. I would like to have the set with translations, but the price difference was such that it was essentially a choice of the old version now or the new version never. I agree with what you say about reading without a deadline, but I’m also thinking about trying to do some sort of weekly minimum as what I hope would be a spiritual discipline and not a law-ish burden. I’m interested in anyone’s suggestions on how to balance the goal and the process on this.